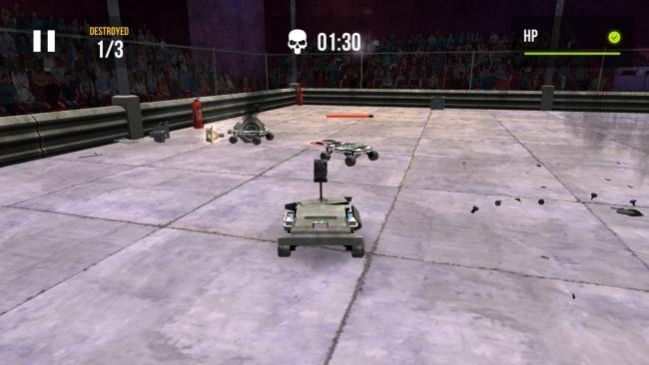 Have you enjoyed seeing robot cars fight it out in a Deathmatch? Do you like playing with robots and have the skills required for becoming a robot fighting champion? If yes, then this gaming app can prove to be an ideal partner for you. Robot Fighting 2 – Minibots 3D is a thrilling game that enables you to participate in robot fights with players from all over the world. Boasting of an exciting gameplay coupled with decent graphics and simple controls, this game is fairly easy to play. Anyone who has played racing games will not have much trouble in controlling the robot cars and using them for winning battles. Robot Fighting 2 – Minibots 3D starts off by asking you to choose an avatar for yourself as well as a name. There is a tutorial which guides you through on how to play the game. You can always skip the tutorial and start the robot fighting immediately as well. The controls for this game are pretty straightforward. You need to decide whether you want to choose buttons or virtual joystick for controlling the movements of your robot car. The virtual joystick allows you to move the car anywhere you want while with buttons you can only steer the car in the left or right direction and reverse it by clicking on a reverse button. To use your weapons on board, you need to get close to the opposing robot car and the offensive weapons will get activated immediately. A garage section is where you are going to find all of the robot cars in your possession. There is a wide range of robot cars available to you but you need to earn gold and silver in order to buy them. You can earn silver by taking part in robot fights with other online players and get gold by defeating VIP players. Gold can also be earned by watching video advertisements and also by buying them using real money. The gold and silver you earn can be used for upgrading your Minibots as well. The weapon and armor sections contain all the upgrades that you can make for enhancing your bots robot fighting credentials. In Robot Fighting 2 – Minibots 3D, you have two game modes. The first one is Player v Player while the second one is Arena. In the Player v Player mode, you have to fight with a single online player whereas, in the arena mode, there are three other players in addition to you who fight among each to see who comes out the winner in the end. There is a limited time available for each robot fight so you need to make sure that you finish your opponents within this time period or stay away from them long enough until the clock runs down. The arenas you are provided in Robot Fighting 2 – Minibots 3D are very detailed and contain various traps and other objects. You can use them for the purpose of destroying the opposing robot cars. 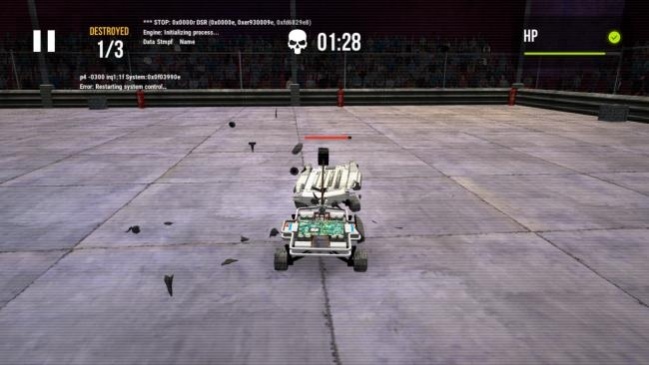 You can also participate in the robot car games league as well in this robot fighting game.